Josh: "Prior to BUCKCHERRY, I grew up in Orange County, California. My foundation was a lot of punk rock records. I had a band for five years called SLAMHOUND in Los Angeles, and it was a four-piece band, and much heavier rock music. 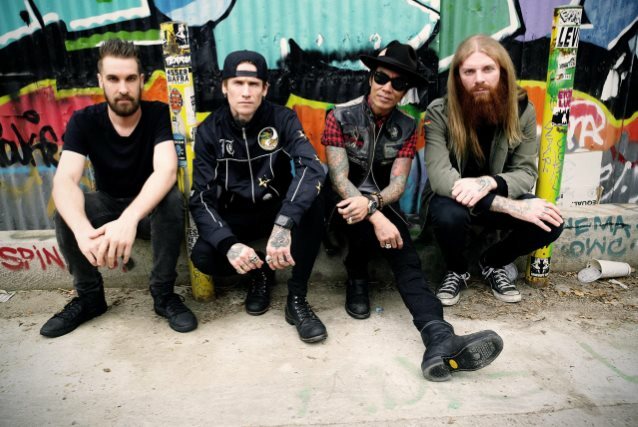 Cut to BUCKCHERRY, and [I] love BUCKCHERRY and had a great run, and BUCKCHERRY's doing great, but we toured a lot last year, and I always wanted to have two bands in two different kind of genres in rock, and something heavier and more aggressive, more along the lines of my roots." Josh: "It's all the same for me, because BUCKCHERRY toured a lot, so I've been on every stage in every type of situation you can think of. It's all the same, really — just wanna give the audience 110 percent. Doesn't matter if it's, like, 500 [or] 5,000. Getting down to this level has actually been inspiring and cool to create something from the ground up. It's been a labor of love, and I enjoy it, as long as you can deal with being humbled, because it is definitely humbling." Josh: "We put out a record and we did a lot of promotion, and the percentage of BUCKCHERRY fans that wanted to listen to it and wanted to embrace us have. There's always people that just aren't interested in this type of music, so there's nothing I can do about that. We're out here touring with other bands and we're building an audience for THE CONFLICT. All that being said, it's a great show, and I put a lot into my craft and my songwriting, and it definitely translates live." Josh: "I didn't want to do that. We've done that in the past when we first started doing shows, because there was, like, literally no awareness, and it just doesn't really work well with THE CONFLICT stuff. We're tuned down to C, and I didn't want to do that anyway. I want to get away from BUCKCHERRY and build this brand, no matter what that's going to take. That's what we're doing. The model that I really was working with was the SLIPKNOT / STONE SOUR-type model, at a smaller scale of course, but that's what I wanted to accomplish, so that's what I'm going to accomplish. I just want to build them separately and be able to tend to THE CONFLICT and then let it rest, then go do some BUCKCHERRY and let it rest, and so on and so forth." 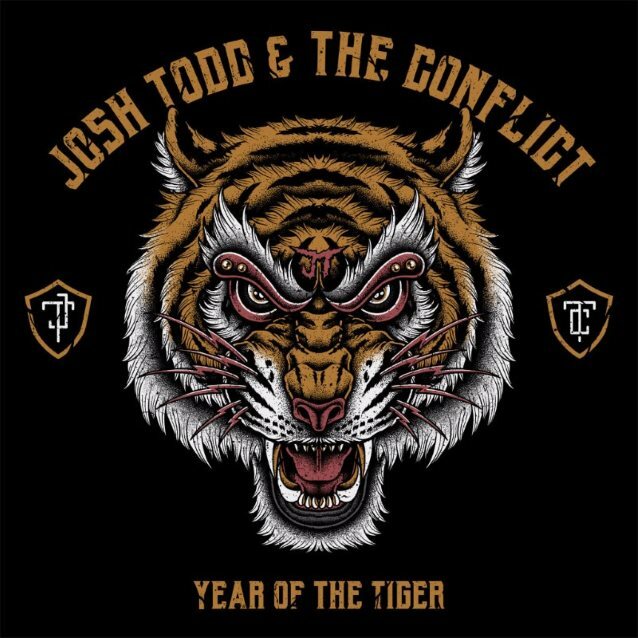 JOSH TODD & THE CONFLICT's debut album, "Year Of The Tiger", was released on September 15 via Century Media. The disc was co-produced by guitarist Stevie Dacanay (a.k.a. Stevie D) and STONE TEMPLE PILOTS drummer Eric Kretz.